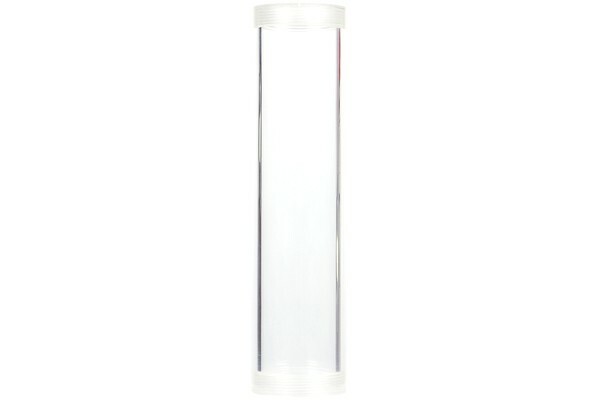 If your tube is worn, scratched or damages, it is no longer necessary to replace the whole reservoir. Should the reservoir have become too small e.g. for an upgraded system, it is now possible to replace the tube by a bigger one or to connect a second one with a tube connector piece (Item No. 46142). Identisch zu Alphacool Plexi Tube 50x213mm ? Nein die Tube von Alphacool ist nur 205mm Lang.